Here's your invitation to join a literary as well as a personal relationship with the deeply insightful and profoundly expressive perspectives of Regina Diane Jemison. As you encounter these soul-stirring pieces, you may imagine listening to one of God's own trombones. The poetry, prose and personality in Soul Clothes, may rub up on a curious and compassionate place within you, a place of stark reality drenched in divine hope. Imagine a John Coltrane solo, with words instead of tenor sax. "Soul Clothes dances naked and unabashed across the page. Jemison's poetry connects spirit to spirit, stripping away masks and guiding us to divine adornments of grace, truth, faith." 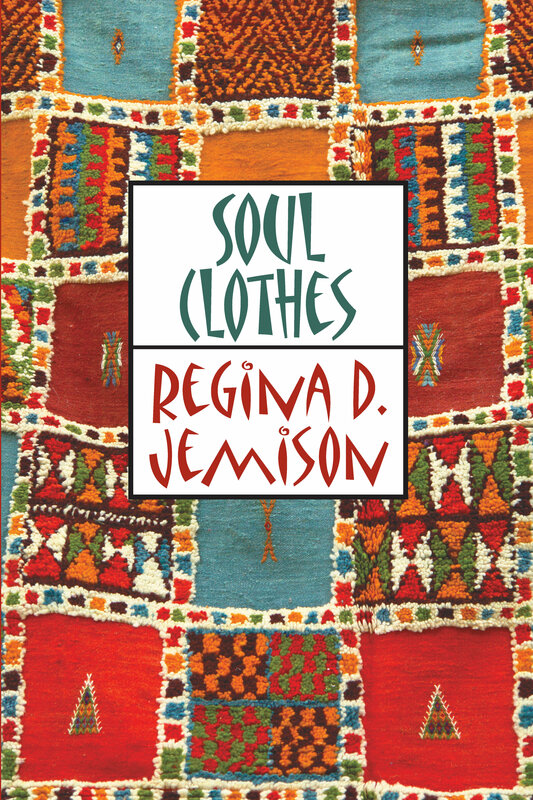 "Soul Clothes is one poet's passionate expression of what it is to be human. Her poems encompass a vast expanse of emotions, from suffering and grief to love and celebration. While being real about the human experiences we all share, many of these poems also exalt the divine within us." "Soul Clothes reveals a collection of compelling, compassionate, daring, devoted, honest and unafraid poems with a spiritual undertone."